The Girl in the Green Scarf – Set on a 1960’s salon ‘The Girl in the Green Scarf’ is a unique concept store..The front is filled with treasures both new and old, to decorate you and your home. In The Styling Room specializes in wedding hair and makeup.. 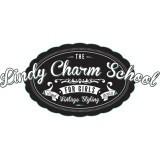 The Lindy Charm School is dedicated to reviving the golden age of glamour and etiquette of the early 20th century. Workshops are held around the country and will teach you how to create hairstyles from the 20’s to the 60’s using traditional & modern methods. Ally Moschini specialises in 1940’s to 1960’s vintage hairstyling for any occasion including bridal hair. 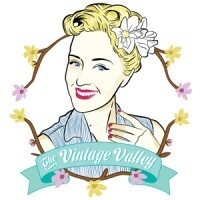 Ally also offers group or one on one vintage hair how-to workshops from her cozy vintage inspired space or she will travel to any location within Perth. Founded in February 2015 by Sunshine Coast local stylist Misty Bland. Vintage Calendar Girls is a group of beautiful Women stepping out of their comfort zones to pose for a risque and unique “Vintage Style” Calendar. 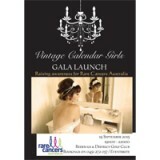 The 2016 Calendar will raise awareness and much needed funds for Rare Cancers of Australia, a non-profit organisation.